The publication you have all been waiting for is here! Having taken over a year to produce, this information packed (over 170 entries) guide is now on sale. Over 82 pages of museums and heritage sites where you can go and view samplers of every period in England, Scotland, Wales and Northern Ireland. There are far more samplers out there than you could possibly imagine and now The Sampler Guild provides the means to go out and find them. 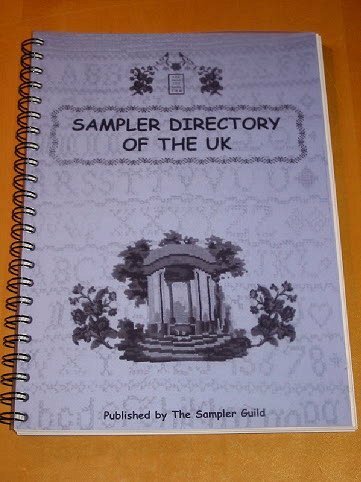 'The Sampler Directory of the U.K.' is now only available as a .pdf file for £5.00.